Do you want to celebrate crop diversity? Are you looking for uncommon seeds to sow for the coming spring? Or are you curious to take part in seed-related discussions? Then come to Reclaim the Seeds 2019! 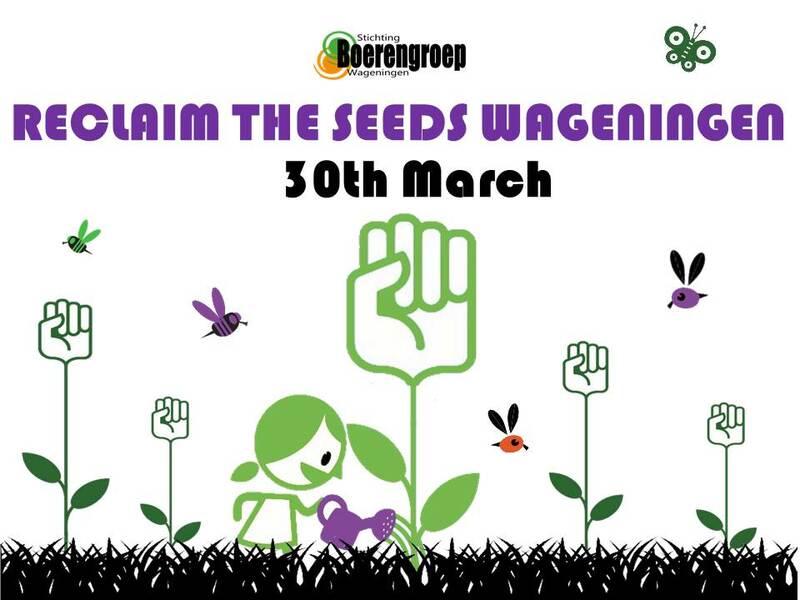 This year, Boerengroep is organizing a regional edition in Wageningen on the 30th of March. What is Reclaim the Seeds? Reclaim the Seeds is an event where (rare and distinctive) seed varieties and information are exchanged in combination with discussions about political themes and practical workshops. The goal is to get more people involved in the fight for agricultural biodiversity and a robust, sustainable food production. The program will consist of a continuous market where seeds of all kinds can be sold and swapped (along with seed-related items), and several rounds of workshops lasting 45 minutes to 1 hour (see also Program). 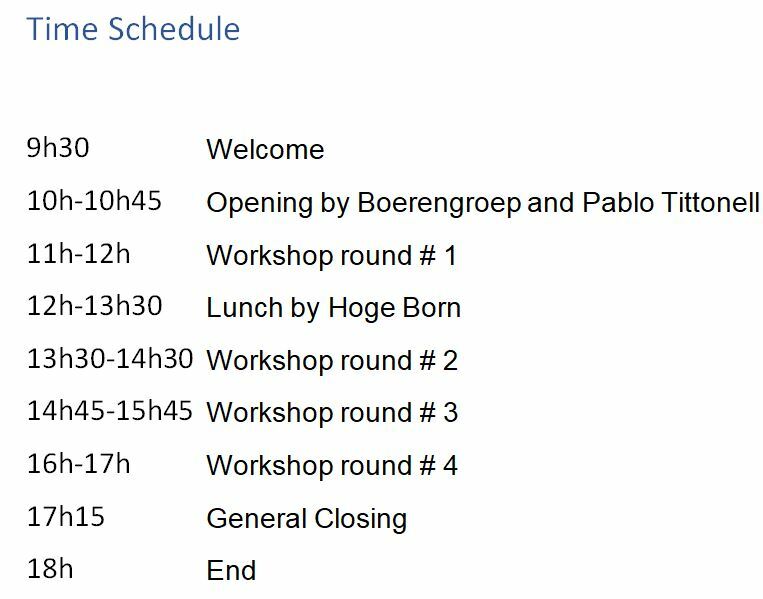 The workshops and seed market will take place in Wageningen at the Hoge Born Farm -main location- (Bornsesteeg 87) and the Droevendaal Experimental Farm -secondary location- (Kielekampsteeg). A map will be provided upon arrival. (See also Route/Maps). De Droevendaal Farm is an experimental farm from Wageningen University & Research. As field experiments are held out there, we kindly ask to keep your seeds in bags at all time, to prevent any contamination of the site. WHO? Expert speakers (see Workshops), seeds professionals (see Seeds Market) and active participation from you (see Seed swapping market)! HOW CAN YOU PARTICIPATE? No pre-registration is necessary. Be aware that some workshops have limited capacity, so be on time and plan ahead. We have a diverse program of many workshops. To make most of your day, make sure that you take some time to walk around the place. Feel free to bring your own seeds to swap, you never know what you’ll go home with! Don’t forget to bring some cash! There will be food available to buy, but you can also bring your own food. There will be some snacks available to buy during the afternoon. The Hoge Born farm’s shop, where you can find organic products, will be open during the day, from 10:30 until 17h. You can get there snacks if you get hungry, or do your groceries for the weekend! see the Privacy declaration of Stichting Boerengroep (organizer of this event). We ask you to take care of your own belongings, and of the people around. We decline all responsibility for any damage, loss or accident. Stay tuned via Facebook (event page), or contact us via st.boerengroep@wur.nl for more information. During the event, go to the Infostand or approach a volunteer (blue tshirt, fabric bracelet tied at the arm) for any question.